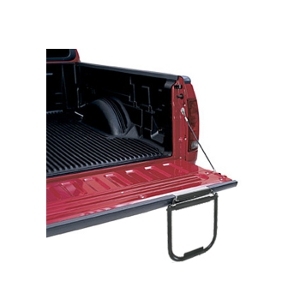 Climb into your truck bed with ease with a tailgate step from Truck Accessorizer.com. We offer tailgate steps from brands like Westin and Bully. The Westin Truck Pal tailgate ladder features aluminum construction, universal fit, and compact self-storage. It is backed by a 3 year limited warranty.